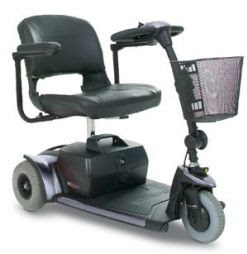 I was driving Eli 8.9 home from school yesterday, and at a crowded intersection, we saw a middle-aged woman driving one of these scooters. Top speed for these bad boys is only about 5 mph, so she wasn't going fast, and with all the traffic around her, it was quite hazardous. What was she doing as she puttered along? Texting.